22 years old Nino Metreveli is a successful beneficiary of the Employment Program, carried out through the European Union funded project “Rural Development for Sustainable Growth of Tetritskaro Municipality”. 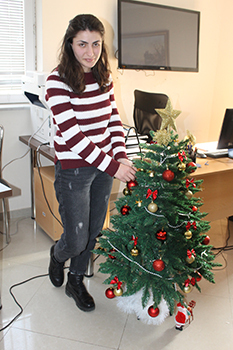 In a month after the program has started, she became an office manager of Georgian Amelioration Kvemo Kartli regional office. Nino is a psychologist. While being a student she worked in different places and was seeking for an interesting and stable job. She heard about RDFG Employment Porgram from a friend and also told others to register and try their luck. They passed selection process successfully and became members of the program. Despite Nino started her new job in a few weeks after the program started and couldn’t finish the program, she says, that this program was the reason of her success. Employment program aims to guides the career of the participants and promotes the acquirement and development of necessary skills to foster their employability. The participants discuss different interesting topics with mentor and corporative volunteers. Nino says that this process helped her to explore herself and develop. 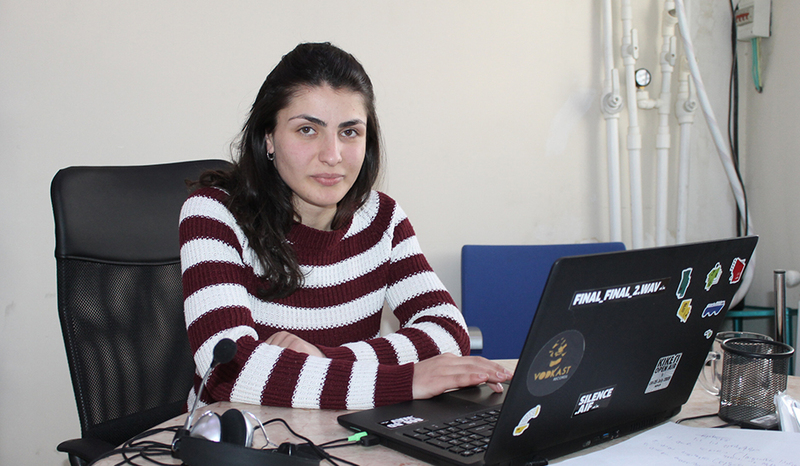 “After the trainings I realized that I was making many mistakes in a job seeking process. For example, I wasn’t well prepared for the job interview, didn’t write CV and motivation latter properly. After the trainings I sent updated CV in Georgian Amelioration office and got employed. So I would advise to job seekers to work on themselves to develop new skills, participate in this kind of programs and will get the results for sure”. For now, Nino can’t attend ongoing trainings, but she tries to keep in touch with the program participants and mentor. She plans to conduct a session about emotions management and share her knowledge and experience to others. Nino wishes Merry Christmas and Happy New Year to RDFG and thanks each and every member of the team for their effort and input. “I wish All the best in 2018 to the amazing team of RDFG. Employment Program was a bright point for me. I’m happy that I was a part of this project, met very good people and of course, started new job”. – Says Nino. RDFG team also wishes Nino a very successful and progressive year in her life! Information on Employment Program model.